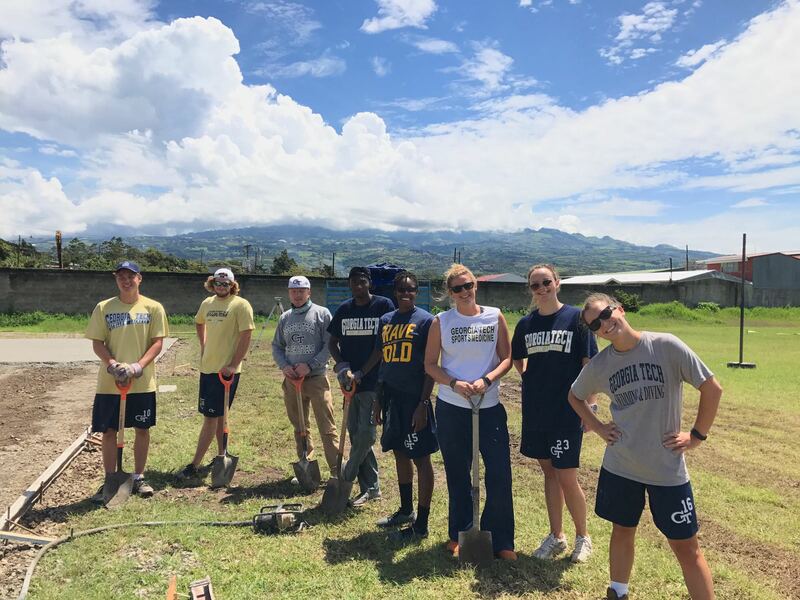 In early August, our group from Georgia Institute of Technology spent a week in the amazing community of Cartago, Costa Rica. 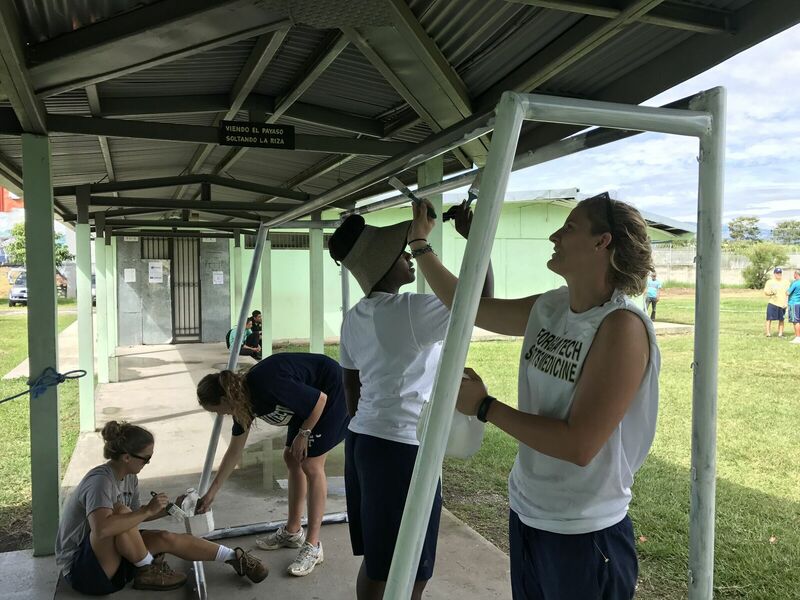 As the trip lead, I was fortunate enough to be one of the staff members to go on the inaugural Georgia Tech Athletics’ “Jackets Without Borders” service trip. Our partnership with Courts for Kids was incredible and set the stage for what will be many more trips to come. Our group was comprised of eight student-athletes, from track & field, swimming & diving, and baseball, and six staff members. As it was our first trip ever, nerves were high and expectations were unclear. 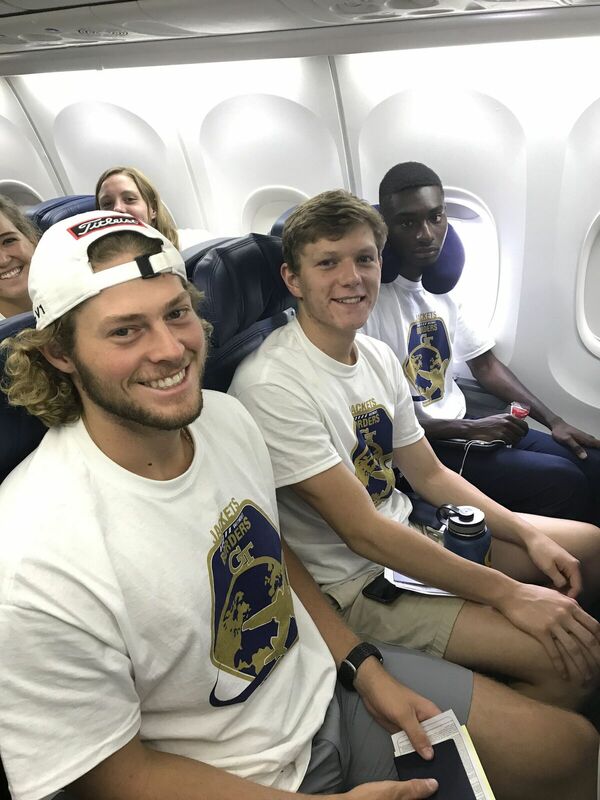 Several of the student-athletes had never traveled outside of the country or had ever had the opportunity to be in a culture different to where they live. We can all definitively say that the trip greatly exceeded all of our expectations and assumptions and changed us for the better. On the first day of the trip, our group landed in the city of San Jose, and were welcomed by our fantastic trip leads, Elise Kittrell with Courts for Kids, William Fernandez with the Peace Corps stationed in Cartago, and Olman Brenes, a teacher at the school and our lead host for the week. 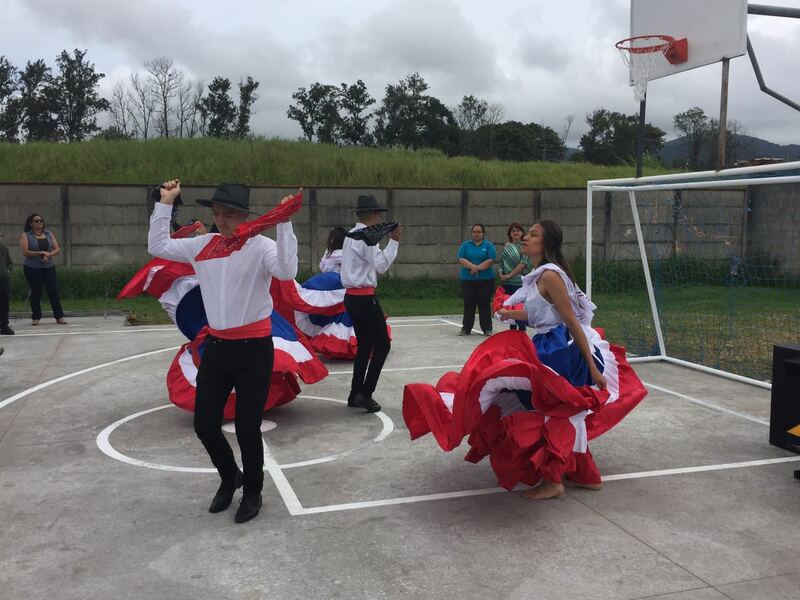 We boarded a bus and traveled from the capital city to the province of Cartago, where the high school, Colegio Fracisca Carrasco Jimenez, was located. Upon arrival, there was a welcome crew comprised of school teachers, host families, and community members waiting to greet us. That evening, everyone in our group was paired with their host family during our welcome event, and we met the individuals that would soon come to feel like family to us. 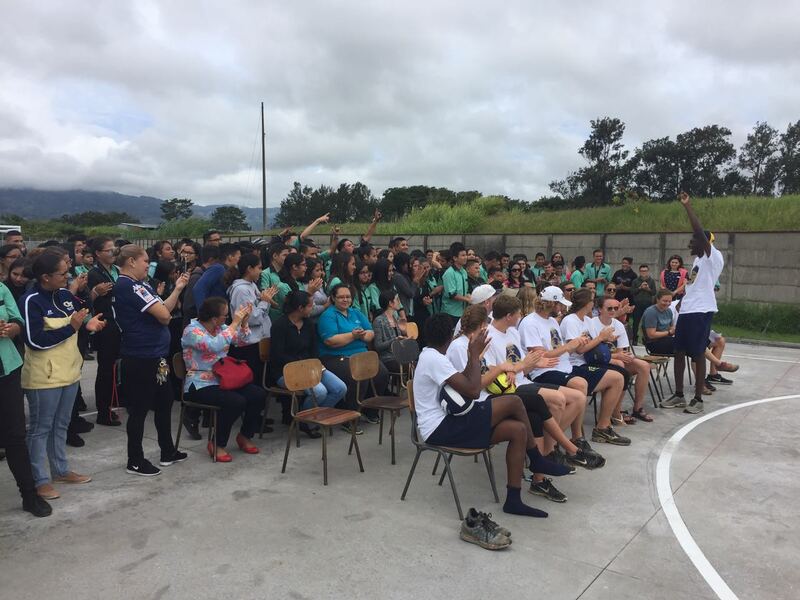 In the days that followed, we had so many unforgettable moments with the community, building the court, and seeing the surrounding area of Costa Rica. Saturday began our first full day of hard work. We were met by the physical education teachers and the local contractors as we began to prepare the site for the court. The ground was already prepped, but we had to remove existing soccer goals, which involved lots of concrete removal and heavy lifting. Other group members started painting new materials that would eventually become the basketball hoops and soccer goals. Despite the heat and the manual labor, our group was always upbeat and excited for every challenge that came at us. 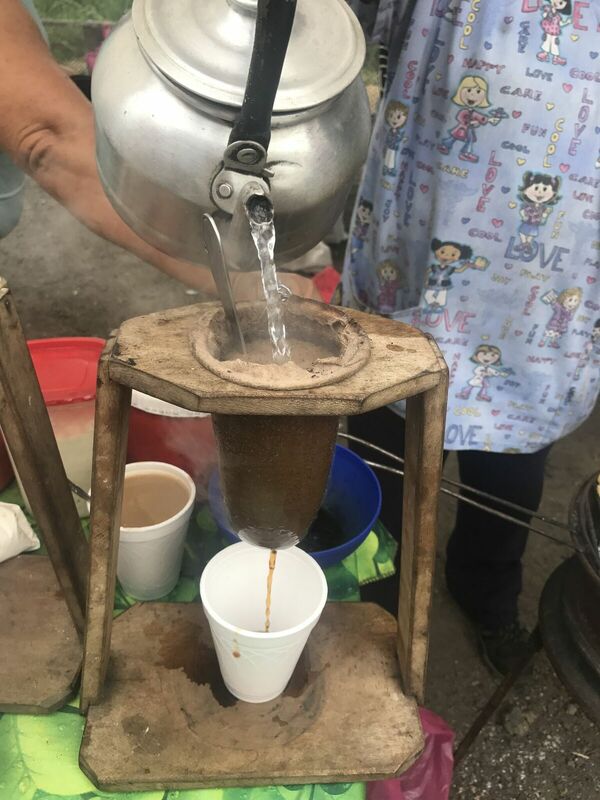 We loved having our snack breaks during the day, as this gave us time to feel like part of the school community, get to know our counterparts, discover the local cuisine, and debrief about our progress each day. These days of intense work also helped us bond as a group. We spent four days putting our full effort into the court, and, despite challenges, we felt extreme accomplishment as we left the school after each session of work. We faced many unseen obstacles, like the communication barrier and translation challenge between the teachers, foreman, and our group. Directions were difficult to understand, but we all became fluent in interpreting gestures and body language to help us through. The weather posed another interesting test, because the hot sun made it hard to work without rest, and the end of each afternoon was met by a daily tropical storm. For this reason, and due to our understaffed group, we had to bring in a cement truck and a crew to get the concrete poured in time. 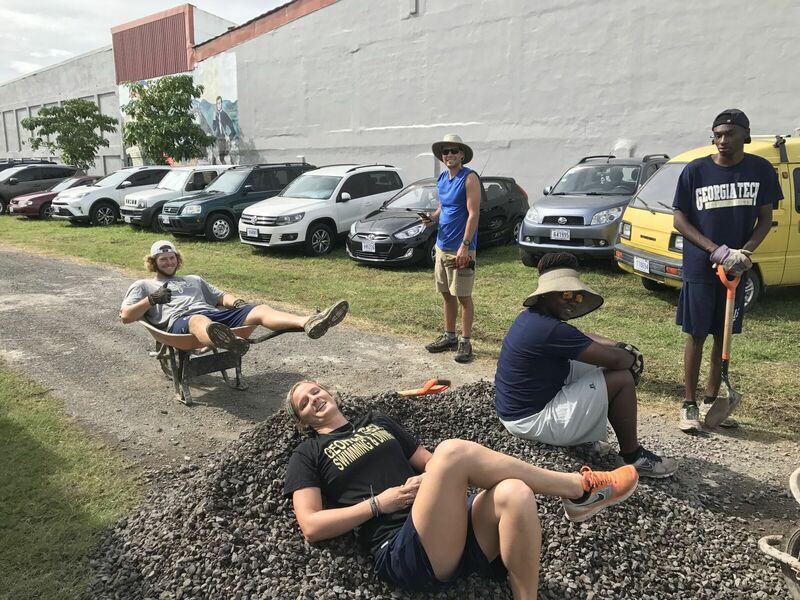 While the court dried over two days, we spent countless hours mixing and pouring concrete by hand for the areas surrounding the court, which was by far the hardest work that many of us had ever done. As a group of student-athletes, it was remarkable how this kind of project mirrored the challenges that occur in athletics. We discovered that the most efficient work was completed by having effective communication and working together toward a clearly stated goal. The tasks that we were dealt were difficult, but the power of encouragement and optimism is essential, just as it is between teammates in a game. 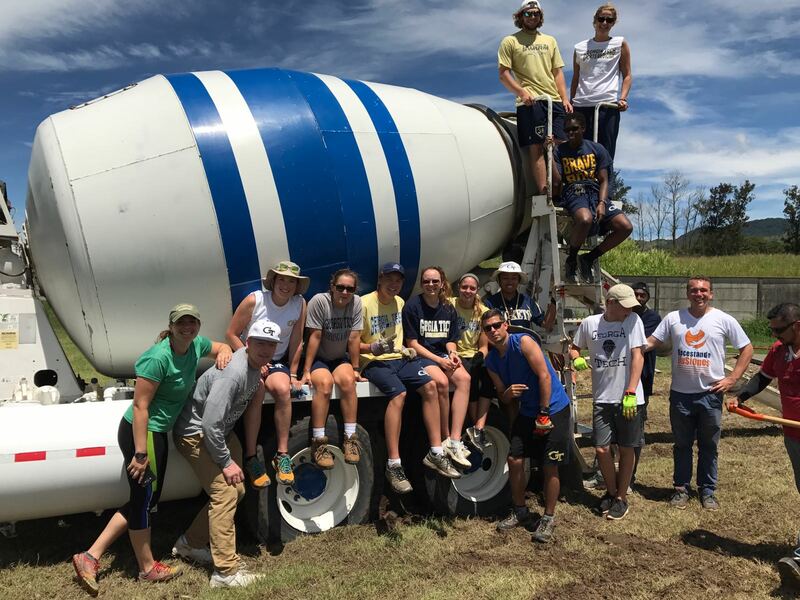 The skills that our student-athletes learn through sports showed up in numerous areas throughout this project, and exposed how applicable the concepts of teamwork, leadership, and selflessness can be when conquering any challenge. Our time was not solely spent working, which was a pleasant surprise to all of us. 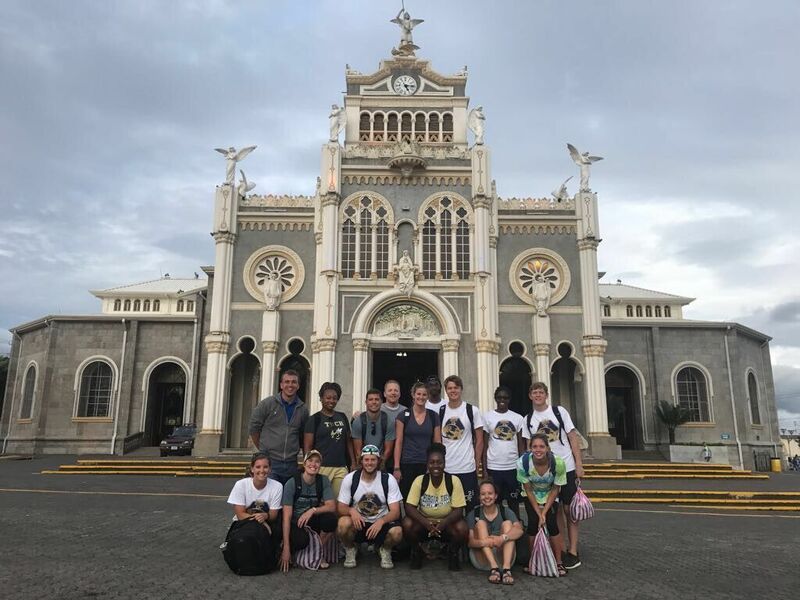 Our gracious hosts took us on many adventures throughout the week that gave us amazing lessons into the Cartago community and culture. We attended a Catholic church service, because Cartago is the site of a famous religious pilgrimage for all Costa Ricans. 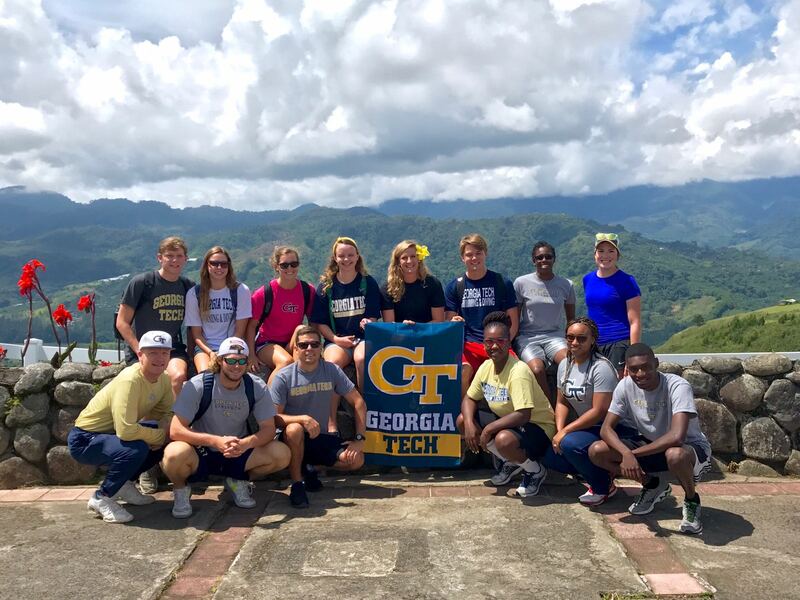 We saw local tradesman and their art, visited museums and ancient ruins, learned about the local fruit and vegetation, explored the stunning valleys and mountains, and even hiked to the top of one of the tallest active volcano peaks in the region. 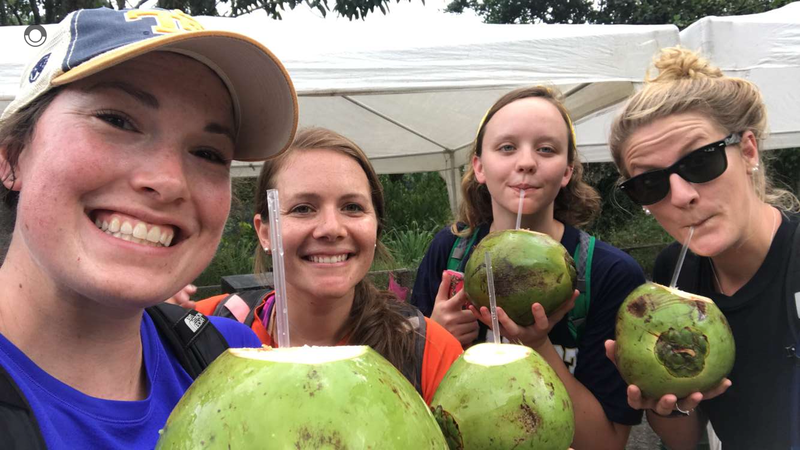 The teachers’ willingness to educate us about local life and culture during our excursions was an amazing addition and allowed us to feel much more meaning behind our experiences each day. The day the court was finally finished and we were able to see our efforts shown in a brand new court was an incredible experience. We were unable to get to see many students during our week of work because they were in final exams, but on the day of the inauguration, almost the entire school came out to the ceremony and were accompanied by many of the staff and teachers. The community continued to profess their thanks for our time, resources, and energy put into this court, but we all know that the real gratitude truly belongs to us. We were so incredibly grateful for them welcoming us into their life and allowing us to create something so meaningful for a community that did not have the resources to play sports. 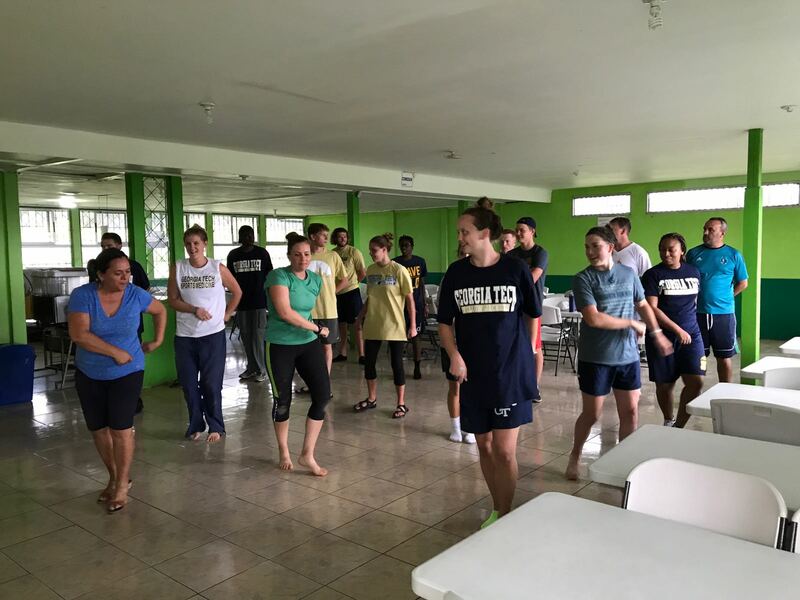 To get to bring the unifying power of athletics into a place that so desperately wanted it and to have the chance to teach each others the traditional games of our culture was an experience we will never forget. Finally, we could never say enough thanks to the host families that allowed us to stay with them and treated us all like we were family. Every single one of us considered these families the best part of the trip because of their amazing generosity and the way they opened our eyes to a new culture, new traditions, and their way of life. We ate daily meals together, taught each other the dances of our cultures, swapped stories, and shared countless laughs. 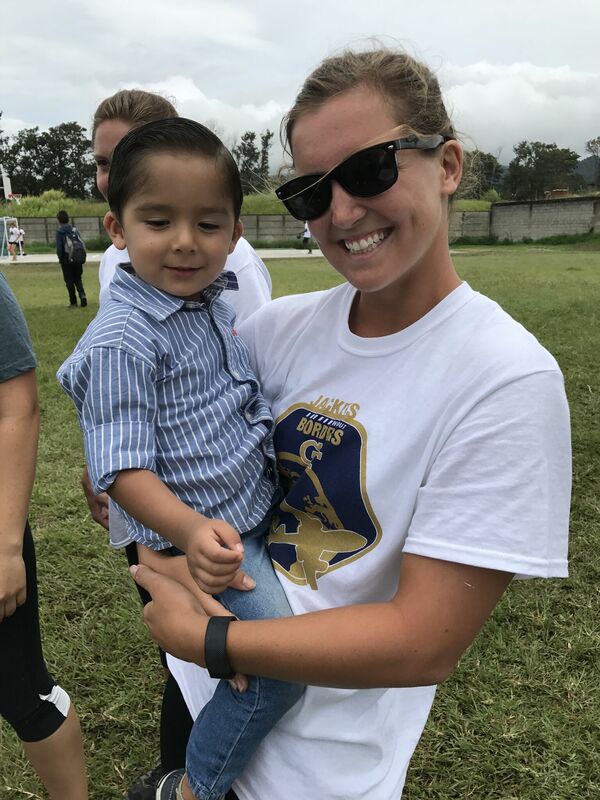 Our trip not only allowed our group to bond together, but now we will forever feel bonded to the community of Cartago, who truly became family. 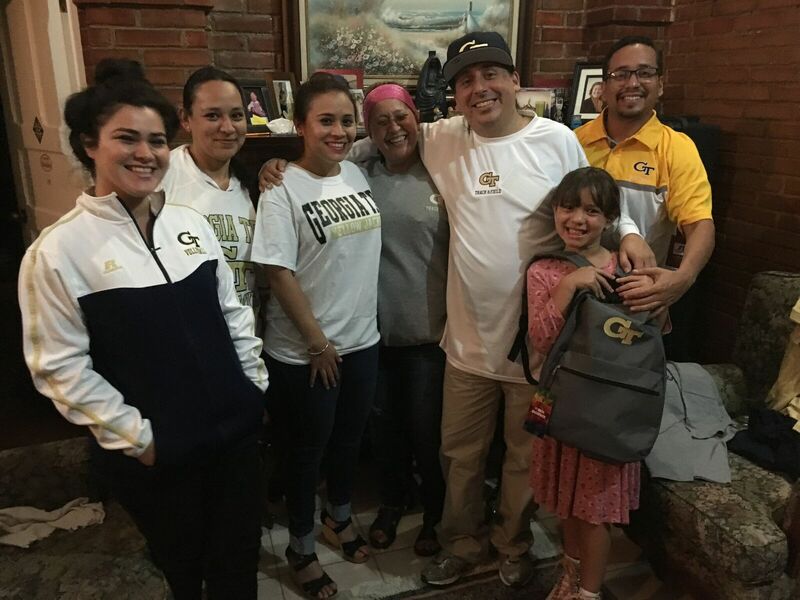 After each day and activity, we would end with a hands-in cheer and shout “Familia!” This became the mantra for our trip and will remain the most poignant expression of our time in Costa Rica. When I decided to attend the Courts for Kids trip, I did not know what to expect. In fact, although I was excited to travel to a new country, I was very nervous. I did not know what the situation would be like, but I thought to myself that going in with a blank mind and no expectations could be a good thing. After going on this trip, it is safe to say that it completely blew me away and was better than I could have ever imagined. I thought I was going on this trip to help other people, but I believe the people of Costa Rica helped me more than I helped them. They changed my life, opened my mind to a beautiful culture, and gave me lifelong friendships. Whether it was working long hours under the sun, touring the city, or sightseeing a volcano, I loved every part of this trip. The reason that this trip was so great was not the stuff I did, but rather the people I connected with, people that I never knew I could form such a strong connection with. I was incredibly lucky to be able to speak the native language, and I enjoyed talking to the natives and learning about their culture through their own language. My host family was generous and kind, and I miss our 2 hour conversations after dinner each night. I learned about a new country and culture, and for that I am forever grateful. I will always remember the generosity and kindness that the Costa Rican people showed us. It inspired me to be a better person and spread kindness to everyone that I interact with. 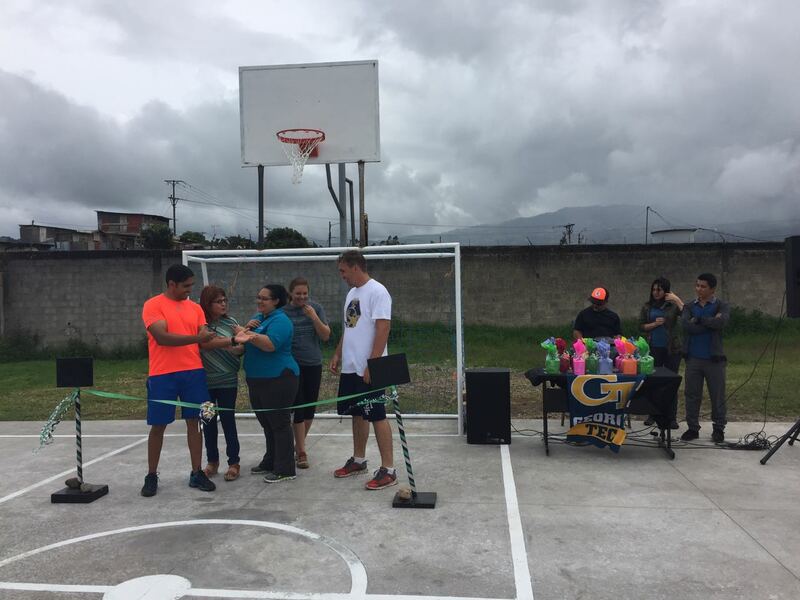 The first week of August, I traveled with seven Georgia Tech student athletes and six staff members to Costa Rica to help on a project in partnership with Courts for Kids. Courts for Kids is an organization that aims to transform lives through building courts and cultural exchange. I think that goal was accomplished during our week abroad. 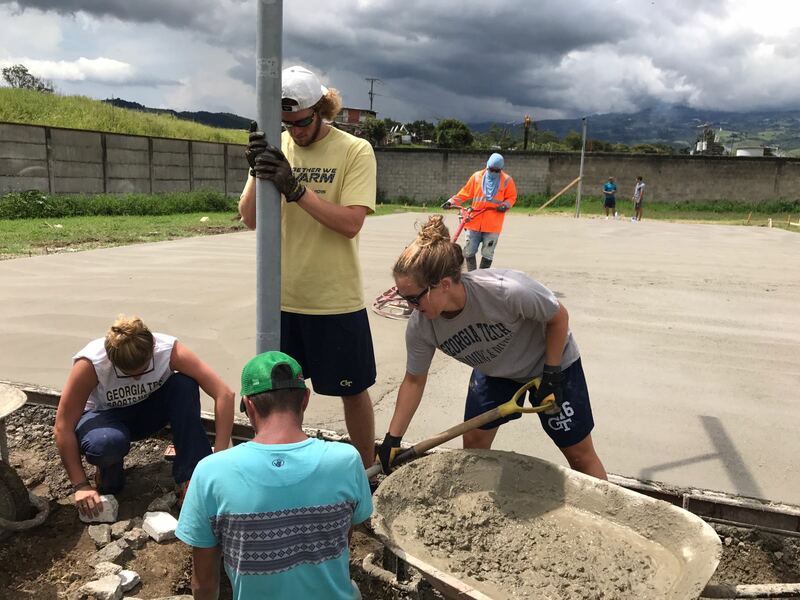 Our whole group was greatly impacted by the things we experienced while working on the multi-functional court. We became stronger and sharper. At our first meeting, they told us our work on the court would be the hardest we would ever work in our life. Honestly, I kind of laughed at the time. 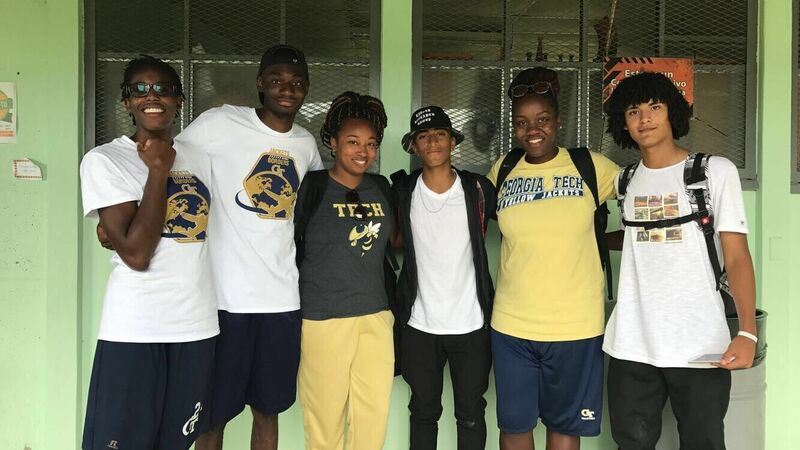 This was a group of Division I student athletes at Georgia Tech, one of the most challenging academic institutes in the nation. Our daily life is hard work. We stay up late working on homework and wake up early to go to morning practice. 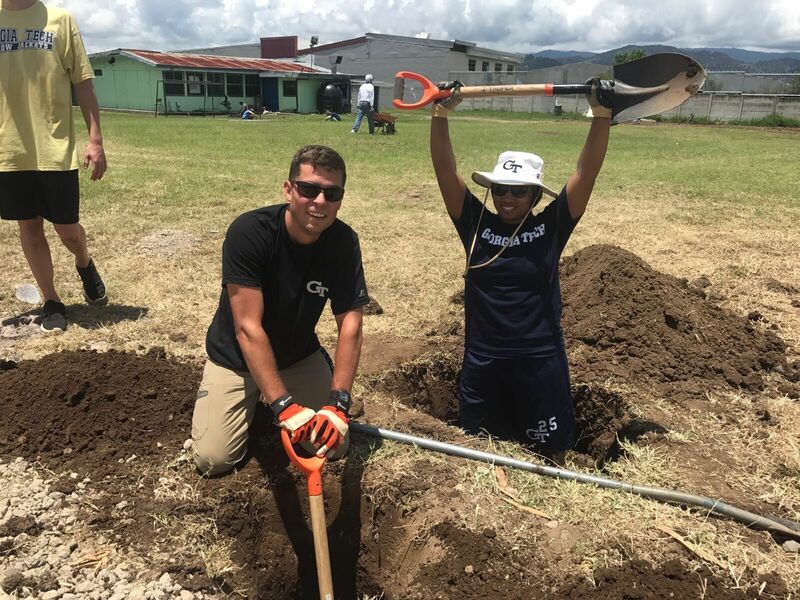 On top of that, many of us have previously been on a variety of service trips in the past where we had to do extremely difficult work. 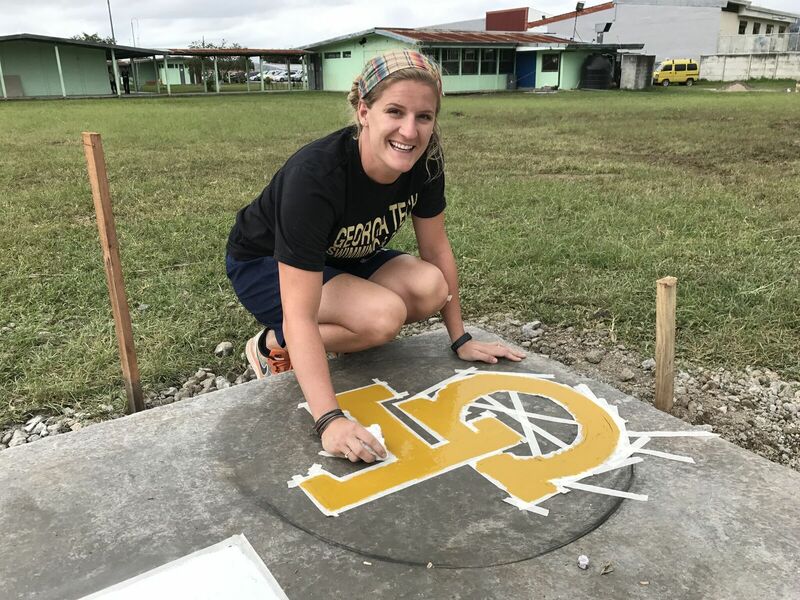 Yet, every night I would go back to my host family, and all they did was take one look and immediately say, “Wow, you look tired.” Although my sport pushes me past my limits every day, standing around a pile of rocks and dirt with a shovel in my hand, aggressively mixing to ensure a smooth concrete blend, broke me down. My back and my arms ached, and the three cups of coffee I drank every day couldn’t keep me awake past 9 pm. The trip also threw me into a new team – a team I hadn’t spent everyday training with and building trust with, but a team that helped me work harder and challenge myself every day. Our team grew stronger together. Each day we were able to mix faster and work harder. We worked for each other and for the community, not for ourselves. When a team member needed help, someone was always there, running to offer assistance. When someone needed a break from mixing concrete, the gap was immediately filled. We learned value skills, like adjusting to a new team and a new environment. We faced major language and culture barriers that we worked around, improving our understanding and acceptance of other cultures allowing us to become more sensitive to the ways of people who don’t do things exactly like we do. We worked on our Spanish, something that forced us to think a lot and learn quickly. The amazing group of athletes and the community we worked with made this week one of the best experiences of my life. Watching the kid’s excitement as they played on the court at the end of the week made it worth it. I have so many incredible memories from this trip. Every night I would go home and try to write them all down, and I ended up writing about four or five pages for every day. Being able to interact so much with the community is something I will never forget. We learned their favorite dances and taught them some of ours. We laughed so hard with the kids as we attempted Spanish and they attempted English. 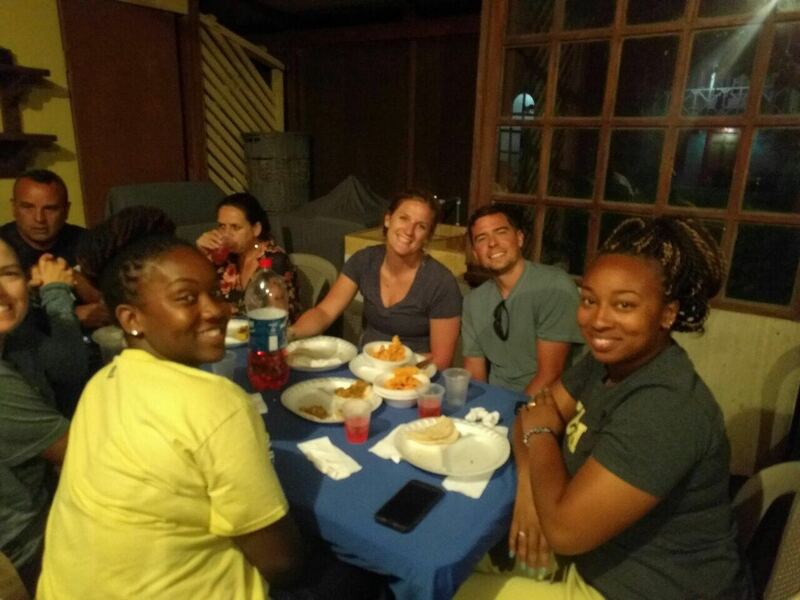 The community shared food and culture and experiences with us that allowed us to see the country in a way that we would never have been able to see as mere tourists. This trip allowed us to engage with a new culture and grow in a way that you can’t grow in a classroom or through reading articles on the internet, and I am so thankful for the opportunity that we had.